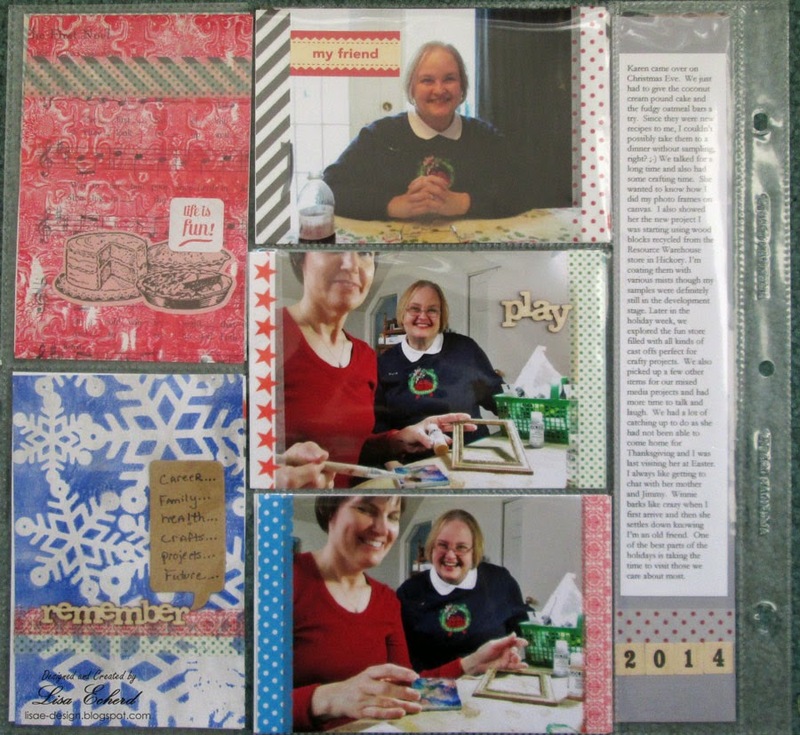 Here are my Christmas pages. Ha! OK, I might be a bit behind but then again I just don't scrap chronologically anymore and I love it that way. 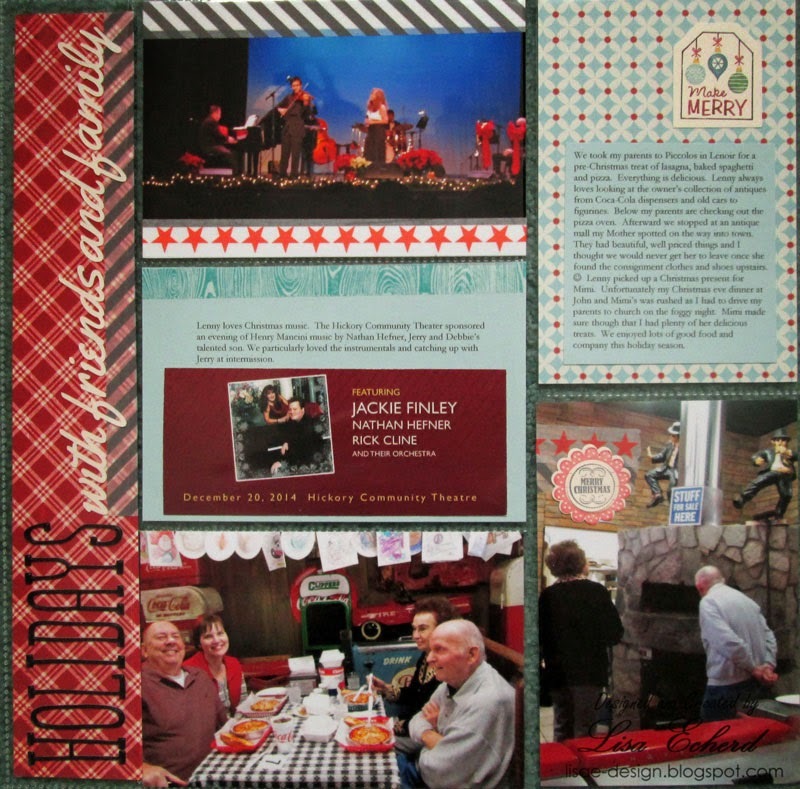 We had a few holiday outings or visits with friends and family that I wanted to highlight. I went with pocket pages because in some cases I didn't think I really had enough for a page. For this 2nd one, I really could have and probably would have been happiest with a traditional page. Still, I got to play with my gelli plate for that one. The first, more traditional, layout is here. The 2nd page with Gelli Prints here. I think Washi works so well on pocket pages as it adds color, adds no bulk at all and is easily wrapped to the back of the card where it stays secure. I also did some stamping on the first page for accents. Hope you are having a happy start to Spring or Fall. Thanks for visiting! How lovely! I love Christmas - gorgeous pages!